Solid-state dehumidifier brings energy saving to air drying. They have since found innumerable indoor and outdoor application it has found a place in a variety of applications. Low life-time cost is one of the main benefits of using the technology that uses electrolysis to remove water vapour from the air. Typically, a device for air drying an enclosure of up to 1m³ (35 cu. ft) would consume 3W of power at 3V dc. Importantly, service costs are also minimised as ROSAHL is maintenance free and requires no drainage. It is also noiseless and has a long service life. ROSAHL solid state membranes are available with mountings, power supply, or as a membrane only. 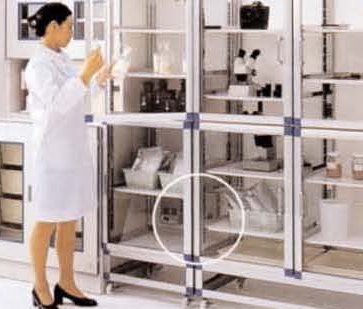 For membrane only the cabinet supplier would need to make a suitable installation. List prices for the membrane only start from under 20 Euros.